Archive for the ‘St. 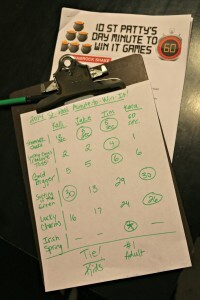 Patrick’s Day’ Category. It wasn’t until I read this book to my preschool-aged kids, that I realized St. Patrick used the shamrock (3 leaf clover) to teach the Trinity! Way to go, Saint Pat, for creating a great teachable moment illustration we are still using today! 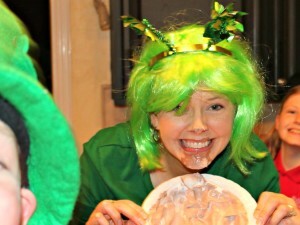 Before I move on to some crafty hands-on ideas for different ages, I thought I’d mention the following website for those who have older children and teens who might like to dig deeper into St. Patrick history through media. I haven’t watched all of these so I can’t vouch for the content, but this link to A&E’s biography site has 6 videos you can watch online about the subject. One video will start playing immediately. To see the other options, click on the tiny tab, “watch more videos” under the right side of the video. If your kiddos enjoy making holiday themed decorations, check out these. Any shamrock idea here, from Google, or Pinterest would be great to do while discussing the concept of the Trinity. 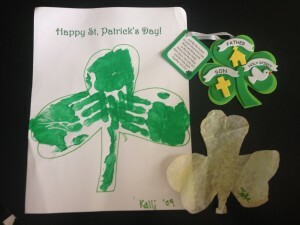 The kids and I have had fun through the years making shamrock crafts around this holiday to remind us this biblical truth. Here are samples from through the years that are easily duplicable in your own home with whatever supplies you happen to have on hand. 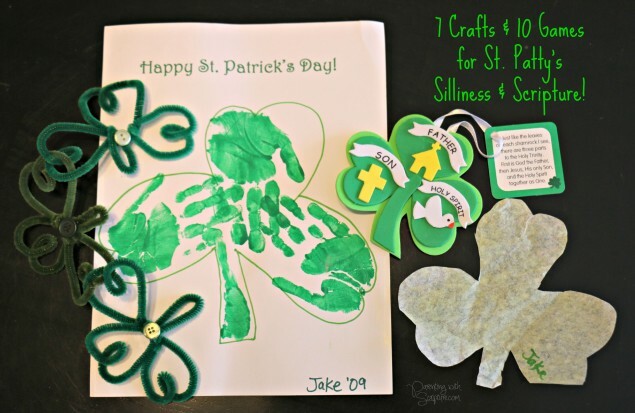 Make green paint handprints for the shamrock, using the side of the hand for the stem. Once dry, draw heart shaped shamrock outlines around the creation to help define it. The bottom right shamrock is made from a coffee filter. It has yellowed over time, but started out green! Moisten the coffee filter so it will lay flat. Dab green tempera paint or food coloring on the coffee filter with a Q-tip or small paint brush. Once try, cut the shamrock shape. The shamrock pictured at the top right is from Oriental Trading Company (my favorite go to place for pre-packaged inexpensive craft kits!) – Click here to link to this kit. Not pictured, but another great Oriental Trading option to stock up on for future years. Click here to link to this kit. 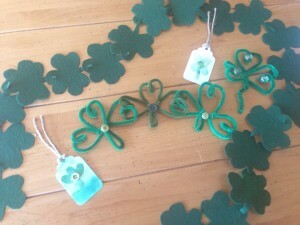 Two 5th graders and a 6th grader and I enjoyed working on these shamrock crafts last week over spring break. Click here for instructions. 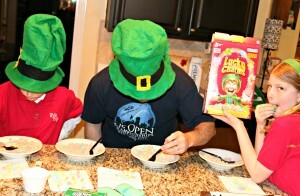 Scroll down to “Wired Shamrock Trio.” We used pipe cleaners instead.